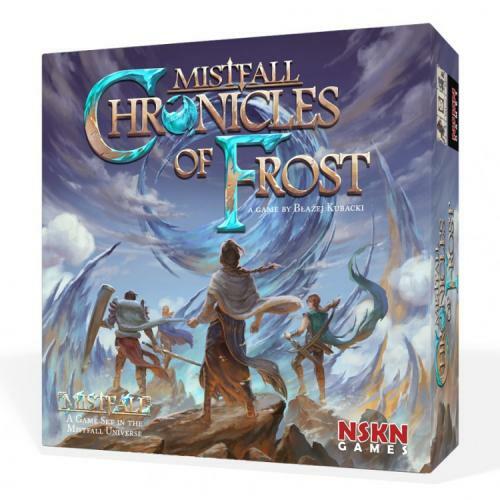 Fill in your details below and we will let you know within 24 hours if we can get Mistfall Chronicles of Frost to you with haste! Start with two unique quests and a small deck, and improve your character by gaining new ability cards, items and allies. Unlock each card's more powerful effect by using skill tokens or by exerting your character to push ever further on your way to becoming a legend. Face ruthless enemies and reap the rewards of your victories. Explore and build the world, creating a new map every time you play, and use the special abilities of locations to your benefit. Manage your deck by retiring cards into your personal chronicle, where they will yield more fame at the end of the game. Face up to three opponents in a new competitive adventure game (or brave the frozen wilds cooperatively), playable in 80 minutes, and write the chronicle of your hero.